FOREIGN Secretary Philip Hammond has defended the repatriation of 3,000 British tourists from Tunisia after protests from the north African country that the UK was playing into terrorists’ hands. The row came against a backdrop of tension and sadness on home soil, as the funeral services for British casualties were held, while terror alerts in Tunisia have been ramped up amid concerns of another attack. Some Britons in Tunisia voiced anger that the Foreign Office had not changed its travel advice to warn against visiting the country immediately after the 26 June attack in the resort of Sousse, when gunman Seifeddine Rezgui murdered 38 holidaymakers, including 30 UK nationals. Ireland, Denmark, Belgium and Finland have all since followed Britain’s lead and discouraged citizens from non-essential travel to Tunisia. Foreign tourism accounts for around 15 per cent of Tunisian GDP, and the country’s ambassador in London, Nabil Ammar, warned: “This is what the terrorists want. By damaging the tourism, by having foreigners leaving the country, they damage the whole sector and put so many people out of work and on the streets. Mr Hammond said the government had been careful not to act in a “knee-jerk manner” by urging Britons to quit Tunisia after the Sousse attack. He said the UK will continue to work with Tunisia on improving security and hoped to downgrade the travel advice “in the not too distant future”. Downing Street said that “substantial” work is needed to improve security for tourists, and it was likely to be “some time” before the advice against travel can be lifted. The first disappointed holidaymakers forced to return home from Tunisia yesterday criticised the government’s handling of the issue as they arrived back at Manchester Airport. Tracey Caburn returned with her mother Maureen Sudmore and sister Debbie Murphy, from Pontefract. Mrs Caburn said: “It’s a disgrace. We felt safe. We would’ve stayed there. We didn’t feel threatened at all. There were guards on the roof, the gates, the beach. We wanted to stay. Downing Street said the revised travel advice was based on information received over the previous 24 hours. This included evolving intelligence about the threat to Britons in Tunisia; information from the Tunisian security authorities that people with possible links to the Sousse attack were still at large; and the results of a security assessment carried out by UK experts. Tour operators Thomson and First Choice have cancelled all flights to Tunisia for the summer season, and extra flights are being laid on to evacuate up to 3,000 UK package holidaymakers and 300 independent travellers believed to be in Tunisia. Foreign affairs minister Charlie Flanagan said “relatively few” Irish tourists are believed to still be in Tunisia, and added those still in the country will be told about the updated travel advice. 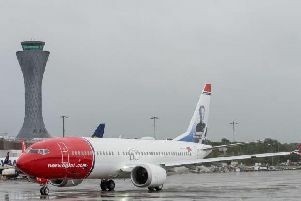 Denmark has also urged its citizens in Tunisia to leave the country. However the French foreign ministry has said it is not planning to follow Britain and Ireland’s lead. A German government delegation is understood to be travelling to the country in the next few days to assess the security situation. In the wake of Western governments calling their nationals home from a country they deem unsafe, Tunisia’s security forces have led a counter-terrorism sweep in a mountainous central region and killed five suspected extremists. Tunisian prime minister Habib Essid, speaking in a parliamentary debate, said his government “did everything in our power to protect (British) citizens and their interests, as well as those of all other countries”. The head of Islamist party Ennahda’s parliamentary group, Noureddine Bhiri, called the British decision “manifestly damaging to Tunisia and its democratic process”. A French diplomat said French, British and German governments will work with Tunisia, notably in improving airport security and protecting tourist sites and foreign companies. The unnamed diplomat said Western experts would meet next week in Tunis to discuss security measures.